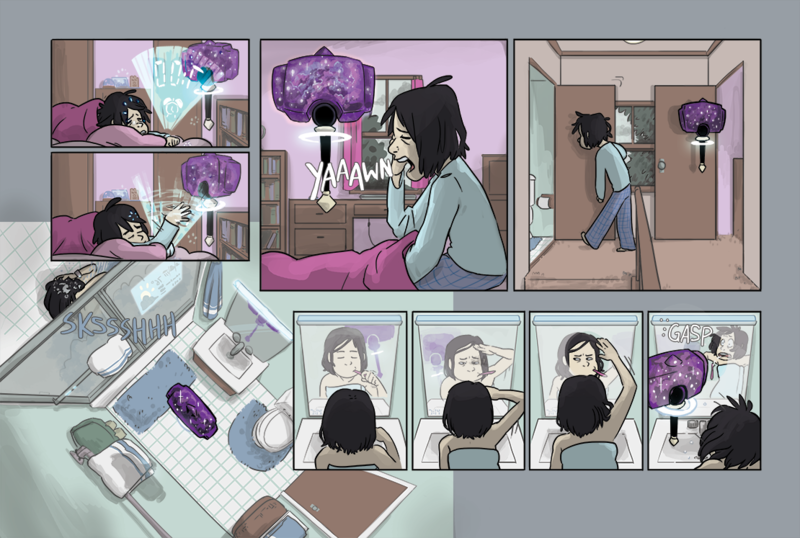 StarHammer - Chapter 1: The Shakedown, Pg 6: Good Morning! This page went through so many iterations. But we eventually settled on this one. StarHammer won't just deliver superhero action but good ol' fashioned physical comedy as well. However, it will not deliver pizza. The science just isn't there yet. I'm sorry.